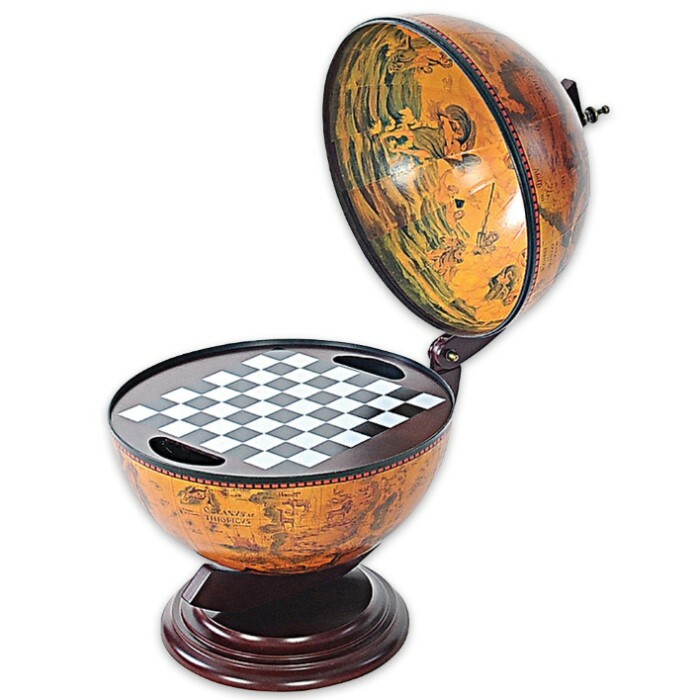 Antiqued Globe / Wooden Chess Set and Board Holder - Wooden Base - Antique Art, Map Reproductions | BUDK.com - Knives & Swords At The Lowest Prices! 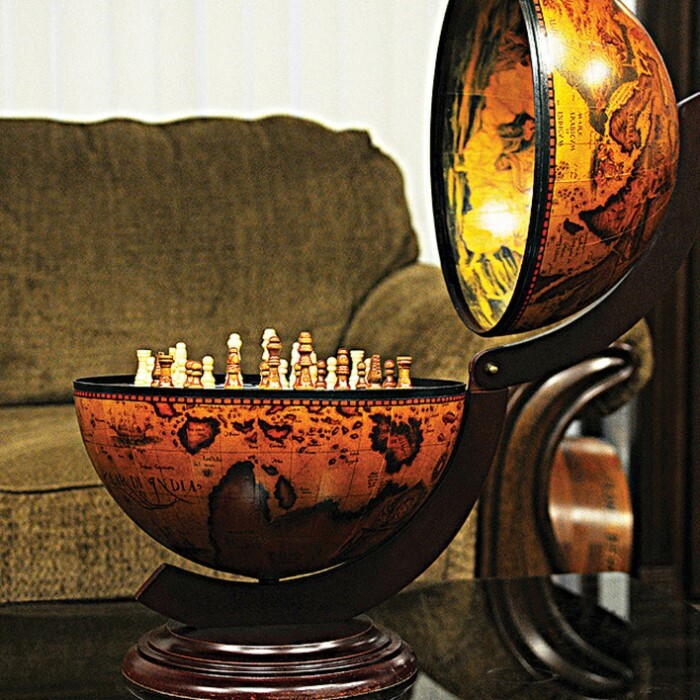 Beautifully designed and charmingly antiqued, this handsome 17th century-style globe doubles as a unique chess holder. 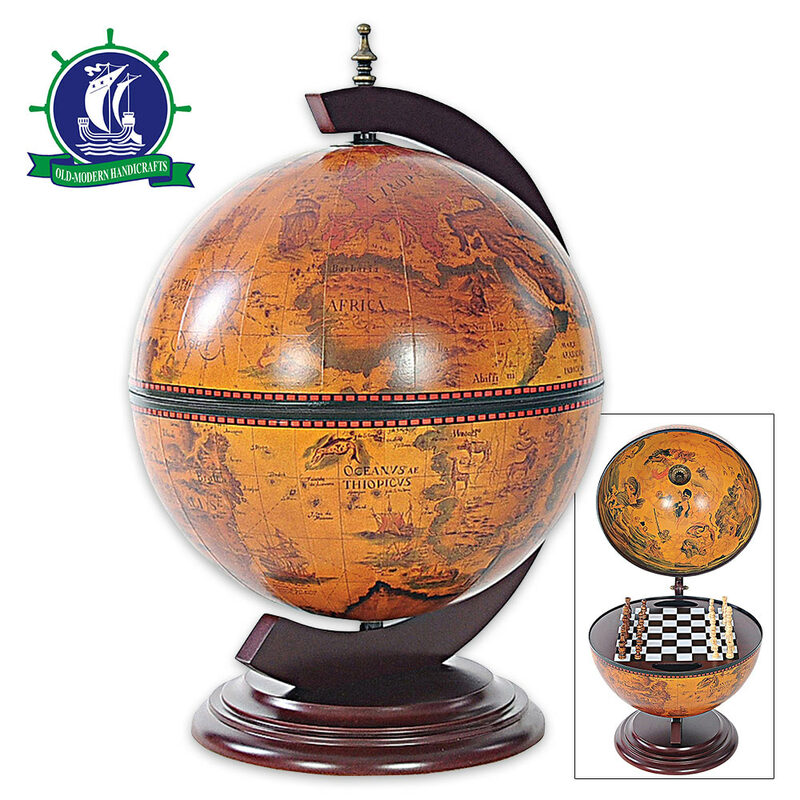 Stunning, warm-hued antique frescoes adorn the inner lid, and reproduction antique nautical maps cover the outer surface. At an impressive 13" in diameter, it makes a fine showpiece, adding class and charm to any space in your home or office. Includes a removable chess board, full chess set and a dark wooden base. Requires some light assembly. Ships directly from manufacturer.